The Girl has started school. The last of my brood of four has been slung into the compulsory education system, which will dominate her life for the next 14 years. Surprisingly, I didnt cry, but more surprisingly, she did. 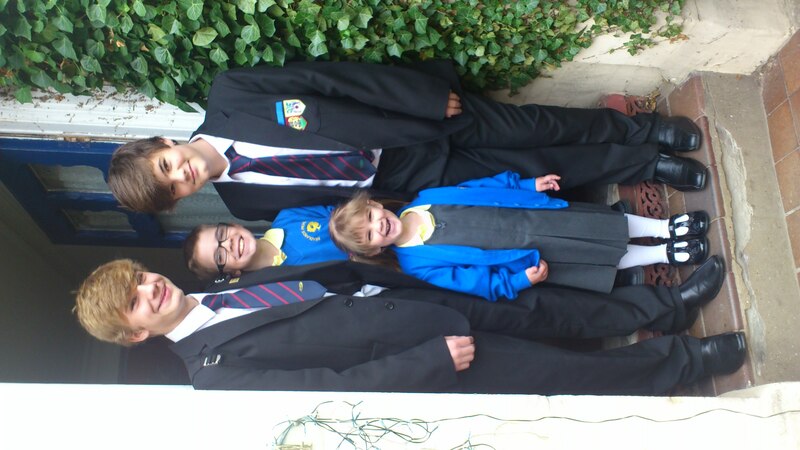 Now I’m not by nature a sobber, but each time one of our three sons started school, I found myself having a sniffle once back in the privacy of the car. This time, as she was bouncing around with excitement and settling easily, I was almost punching the air. ‘That’s IT! She loves it, and no more childcare fees!’ No lump in the throat, no fizzy nose. She’s been in nursery at least a few days a week since she was three, and luckily for us the nursery is on the same site as the school, so she will continue to see the staff at the after- school club with her older brother, who is almost nine. (so I lied, there will actually still be some childcare fees, but not as much). But because of this archaic and frankly annoying system of ‘transition’ in primary schools, where new kids only attend half days for the first few weeks, we are having to put her back in to nursery during the afternoons. 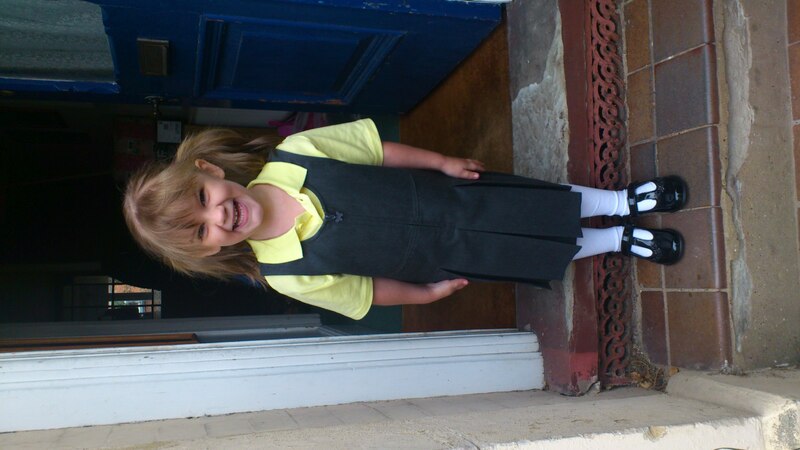 This completely threw her on the first day, and she sobbed, because she wanted ‘to be in school like Billy’. The next day she cried on the way in and wanted to stay home. All very out of character. She fell asleep on the way home on the first two days and cried several times. This has thrown me, as the boys had to be dragged away from school and barely gave us a second look. We have been asking her during bedtime chats why she cries but she doesn’t seem to know. So, sticking to form, I’m trying bribery: a cry-free day might mean a nice surprise (she’s had her eye on that Lego for girls). I think the half days are disruptive. It’s even worse for other parents. I know plenty who have had to take unpaid leave FOR A MONTH because the child needs collecting at 11.30, or 3, or dropping at lunchtime. Plenty of reception teachers and nursery nurses think it’s unnecessary too. Yes, there are four year olds who have been at home with a parent for four years, who might need time to adjust. But most will have had some experience of nursery, and the routine of education. After all, free nursery halfdays start at age 3. So why do so many schools insist on this ridiculous staggering of the reception intake? There must be some evidence that it isn’t necessary or even in the interests of the children. I know at least two Northampton schools who have abandoned the half days and just start them full-time, all at the same time. By all means admit them a day after the older kids if it helps, but please, just get them in and let them get on with it. Fewer tears, less confusion for them, less anxiety for us. What do you think? Feel free to comment below . . .